Under the right circumstances, certain texts suggest a “weird realism,” circumstances (as described by Graham Harman) when language either struggles to describe the impossibly real or when it overflows with multiple possibilities. One of H. P. Lovecraft’s strengths as a writer lies in his constant insistence that there was always something just outside of human ken, something that might be understood by analogy or at the risk of one’s sanity. Human beings, as the opening of “The Call of Cthulhu” suggests, are simply not equipped to handle certain forms of knowledge. For years, I introduced students to Lovecraft cautiously, as though we were all anxious about this evocative power. But things have changed dramatically over the last two decades. If we once approached the author reluctantly, we now embrace him as a cultural phenomenon. Students may not know his work any better, but they’re more likely to know something about his life, his work, and his monsters. Whereas I used to regale students with connections between Lovecraft and Edgar Allan Poe, Stephen King, or Robert Bloch, I now find ways of introducing him through references to films, internet memes, music, YouTube videos, board games, and the like. One semester, a student taught us all how to play the overly complex game Arkham Horror during finals week. Another student gave me a copy of Cthulhu Fluxx, a fun card game that I happily played with family and friends. It’s rare for authors, especially those in the pulp tradition, to achieve such strange 21st century heights so quickly. Lovecraft, no longer an obscure pulp writer, is now a public figure, the creator not only of Cthulhu but also of a body of imaginative and fascinating tales that are enjoying a new generation of readers. Even though the notion of a unified “Cthulhu Mythos” is controversial, Lovecraft’s universe nevertheless remains one of the coolest and most expansive imaginary sandboxes out there. 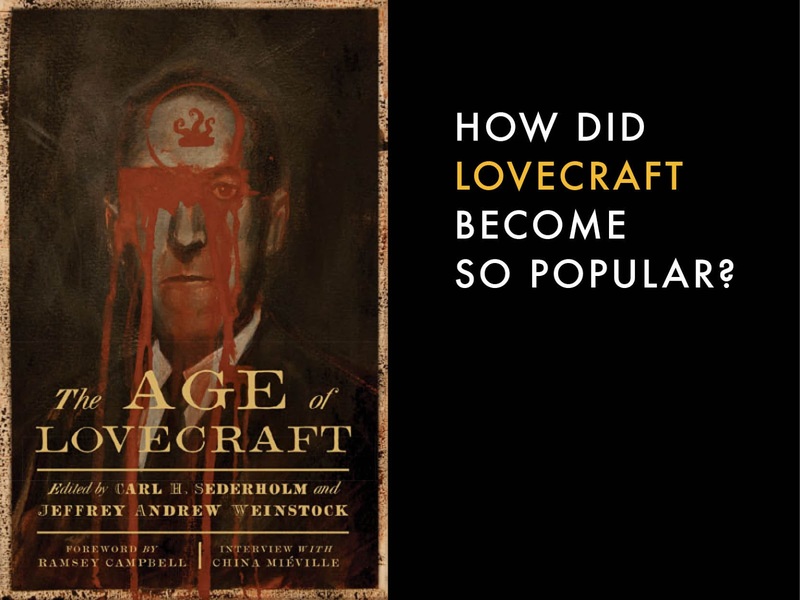 How did Lovecraft become so popular? There’s no simple answer to the question, but much can be gained from exploring the range of connections and intersections that draw on Lovecaft in some way. I’ve already mentioned some of the ways popular culture appropriates Lovecraft. Another productive development comes from Lovecraft’s increasing prominence in philosophical discussions, especially those stemming from Harman’s aforementioned weird realism or the way a story like “Through the Gates of the Silver Key” factors into Gilles Deleuze and Felix Guattari’s work in A Thousand Plateaus. Moreover, Lovecraft’s cosmicism, especially the way he shifts attention decidedly away from the human, overlaps with recent work concerning posthumanism, animal studies, and deep time. Lovecraft isn’t exactly a critical darling, but he’s certainly no longer the embarrassment to the literary establishment that he once was. In the last few years, new editions of his work have appeared, including those from Oxford University Press and the Library of America. He is also an acknowledged influence on graphic novels, films, songs, illustrations, sculptures, and more. 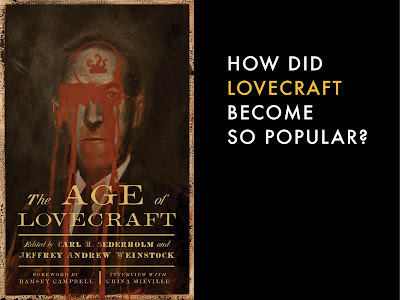 In the early months of 2016, Matt Ruff (Lovecraft Country) and Victor LaValle (The Ballad of Black Tom) released novels featuring explicitly Lovecraftian themes and ideas. Jacqueline Baker’s 2015 novel (The Broken Hours) examines the last weeks of Lovecraft’s life. Lovecraft’s afterlife is certainly impressive, but his fame also brings renewed controversy concerning his blatantly racist attitudes. Though some prefer to dismiss his racism as a thing of the past, or to somehow separate the man from his fiction, others want to understand how racism shapes Lovecraft’s writing, particularly his approach to core themes such as impurity, abjection, and hybridity. In 2015, the public side of this controversy came to a head when the World Fantasy Convention determined to no longer give the “Howie” (a small bust of Lovecraft) to award winners. Critics of this change decried it as bowing to political correctness; others applauded the change as a sign of progress. W. Scott Poole’s forthcoming biography of Lovecraft argues for greater frankness not only concerning Lovecraft’s racism but also calls for a wider awareness of the ways racism structured political power in the United States, especially in the tumultuous aftermath of Reconstruction—and how these problems continue to shape American public life in 2016. In Lovecraft, anything is possible but death remains inevitable—and is always lurking just outside the door. Carl H. Sederholm is professor of interdisciplinary humanities at Brigham Young University. 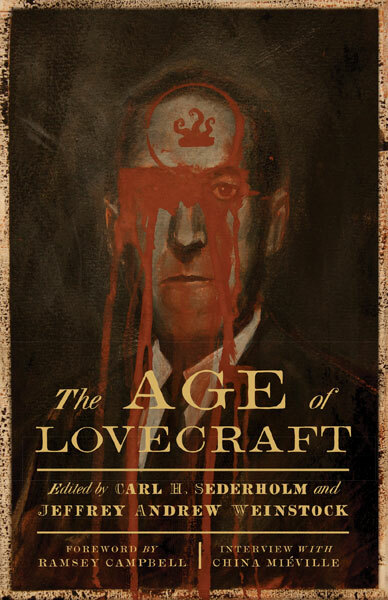 Sederholm is co-editor, with Jeffrey Andrew Weinstock, of The Age of Lovecraft.